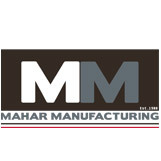 Mahar chairs, Mahar cots and mats, preschool chairs and tables, and other daycare Mahar products from Worthington Direct, the leader in preschool furniture. Make nap time special with heavy-duty mats and cots in a variety of colors. Get creative with colorful early childhood chairs and tables by Mahar that make any preschool room or daycare center come alive.